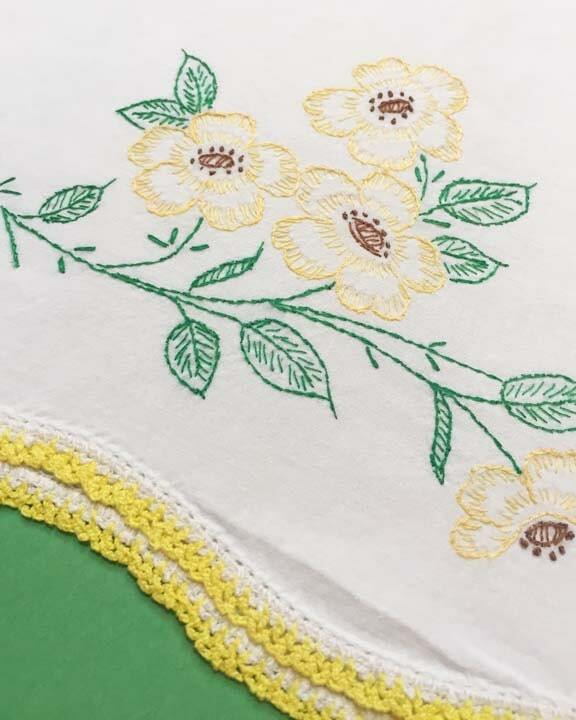 This is a sweet vintage, single standard size pillowcase with hand embroidery. 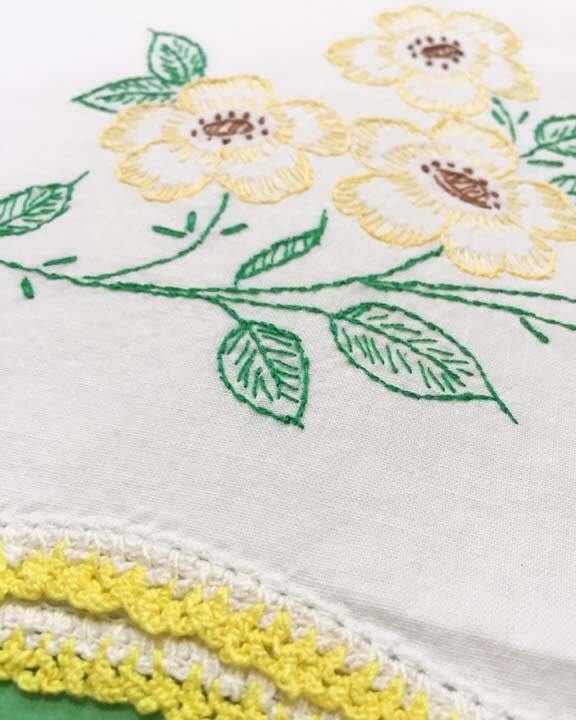 It features delicate yellow flowers with green leaves and a crocheted yellow border. It would be darling in a little girls room. A very soft cotton that has aged beautifully. It is a bit more of a soft white color rather than a bright white. 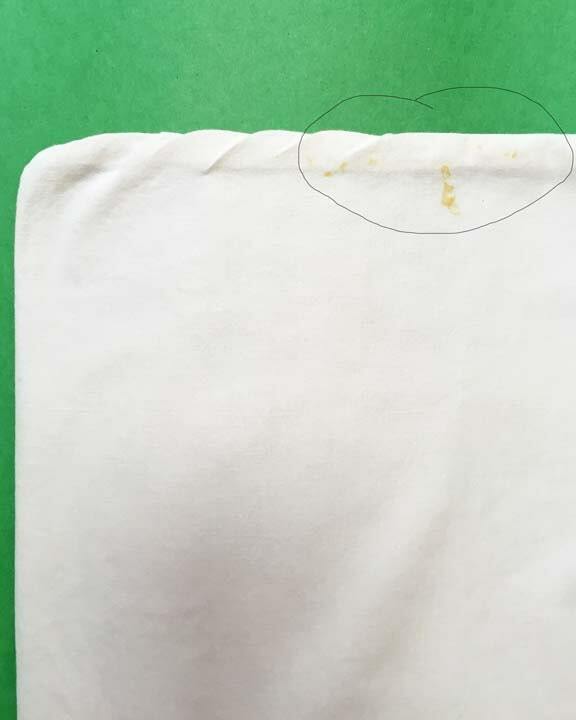 There is one small stain on the top front but when its stuffed I do not think it will be noticeable and it's in the fold and you eye goes to the pretty embroidery.